New vehicle pricing includes all offers and incentives. Tax, Title and Tags not included in vehicle prices shown and must be paid by the purchaser. While great effort is made to ensure the accuracy of the information on this site, errors do occur so please verify information with a customer service rep. This is easily done by calling us at (866) 627-6887 or by visiting us at the dealership. $5,000 off MSRP! Priced below KBB Fair Purchase Price! 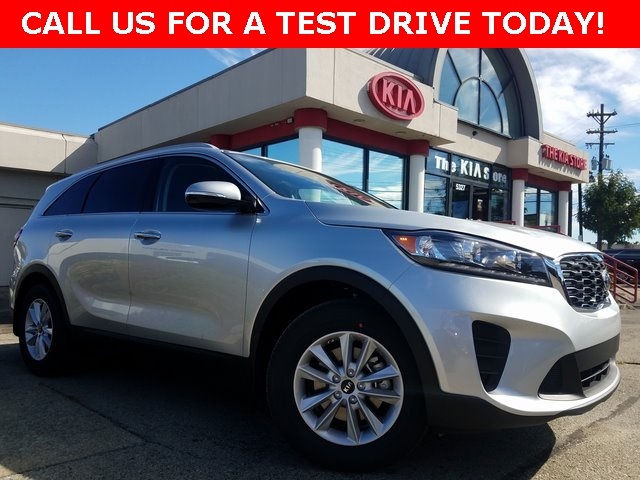 The Kia Store is pumped up to offer this good-looking 2019 Kia Sorento LX in Sparkling Silver. Well equipped with: LX V6 Convenience Package (3rd Row Air Conditioning, Auto-Dimming Rear-View Mirror, Heated Front Seats, Leather Wrapped Steering Wheel & Shift Knob, Park Distance Warning-Reverse, Radio: UVO eServices, and Roof Rails (Silver)), AWD, 17" x 7.0" Alloy Wheels, 3.51 Axle Ratio, 3rd row seats: split-bench, 4-Wheel Disc Brakes, 6 Speakers, ABS brakes, Air Conditioning, AM/FM radio, Automatic temperature control, Blind spot sensor: Blind Spot Collision Warning warning, Brake assist, Bumpers: body-color, Cargo Net (Envelope), Carpeted Floor Mats (7-Passenger), Delay-off headlights, Driver door bin, Driver vanity mirror, Dual front impact airbags, Dual front side impact airbags, Electronic Stability Control, Exterior Parking Camera Rear, Four wheel independent suspension, Front anti-roll bar, Front Bucket Seats, Front Center Armrest, Front dual zone A/C, Front reading lights, Fully automatic headlights, Heated door mirrors, Illuminated entry, Low tire pressure warning, Occupant sensing airbag, Outside temperature display, Overhead airbag, Overhead console, Panic alarm, Passenger door bin, Passenger vanity mirror, Power door mirrors, Power driver seat, Power steering, Power windows, Radio data system, Radio: UVO Play w/AM/FM/MP3, Rear anti-roll bar, Rear seat center armrest, Rear window defroster, Rear window wiper, Remote keyless entry, Security system, Speed control, Speed-sensing steering, Split folding rear seat, Spoiler, Steering wheel mounted audio controls, Tachometer, Telescoping steering wheel, Tilt steering wheel, Traction control, Trip computer, Turn signal indicator mirrors, Variably intermittent wipers, and YES Essentials Cloth Seat Trim. 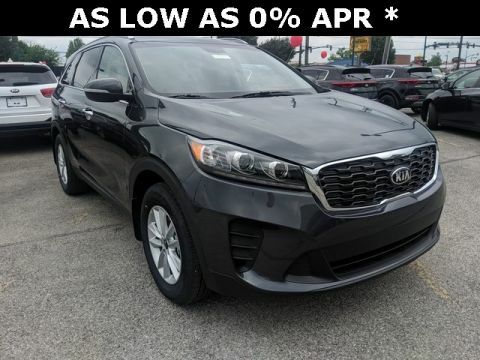 Thank you for making your way to Kia Store Preston, your certified Kia dealer serving drivers throughout Louisville and the surrounding areas. 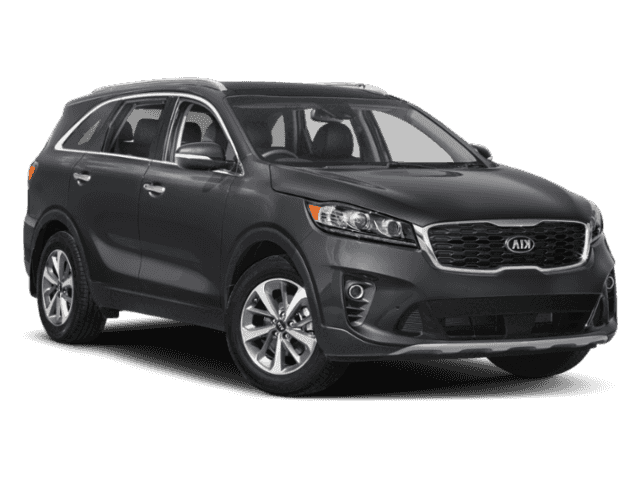 At our dealership, you’ll find a solid selection of new Kia for sale, as well as a carefully inspected lineup of pre-owned vehicles. We also have a well-connected finance center run by a qualified team of finance experts, who can help you get the right loan or lease in a quick, easy, and transparent manner. 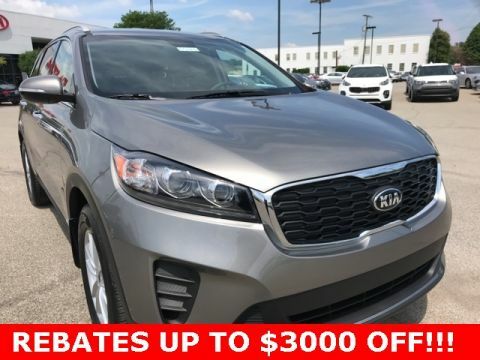 Make your way to Kia Store Preston in Louisville today for quality vehicles, a friendly team, and professional service at every step of the way. And if you have any questions for us, you can always get in touch at (866) 627-6887.